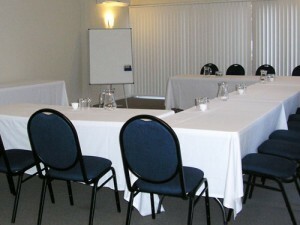 Room Hire: $195.00 per day. (Inc GST). Please note we do not offer reduced rates for partial days booked. Coffee and tea will be provided by us at $2.50 per person per day. Equipment: The following equipment is provided free of charge. Flip charts are available at $2.00 per page (Inc GST). Please advise in advance if you require these. We do have parking on the premises upon request when available. Conferences with more than 5 cars will need to advise their guests to park of site. (Unless they have booked accommodation which will have allocated parking. Please phone reception for clarification. Suggested parking in Richmond Street (50 meters). 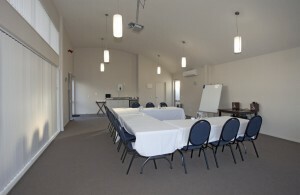 Catering:Catering is available upon request for Morning Tea, Afternoon Tea & lunch. Please let us know if you would like catering and we will send through a menu. Accommodation: Accommodation is available at Atrium on Ulster – One of Hamilton’s newest motels. Qualmark rated 4* Plus. Our rooms offer modern, spacious, warm and quiet accommodation. All rooms have heat pump / air con and all have lovely comfortable beds, great showers, LCD TV’s with Sky, free Wi-Fi & parking. Those whom have booked accommodation will be allocated an on site park.